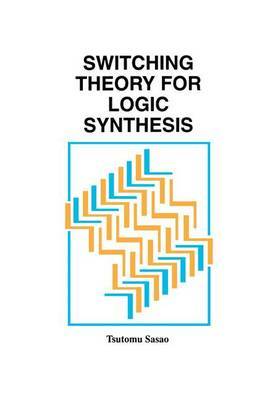 Switching Theory for Logic Synthesis covers the basic topics of switching theory and logic synthesis in fourteen chapters. Chapters 1 through 5 provide the mathematical foundation. Chapters 6 through 8 include an introduction to sequential circuits, optimization of sequential machines and asynchronous sequential circuits. Chapters 9 through 14 are the main feature of the book. These chapters introduce and explain various topics that make up the subject of logic synthesis: multi-valued input two-valued output function, logic design for PLDs/FPGAs, EXOR-based design, and complexity theories of logic networks. An appendix providing a history of switching theory is included. The reference list consists of over four hundred entries. Switching Theory for Logic Synthesis is based on the author's lectures at Kyushu Institute of Technology as well as seminars for CAD engineers from various Japanese technology companies. Switching Theory for Logic Synthesis will be of interest to CAD professionals and students at the advanced level. It is also useful as a textbook, as each chapter contains examples, illustrations, and exercises.